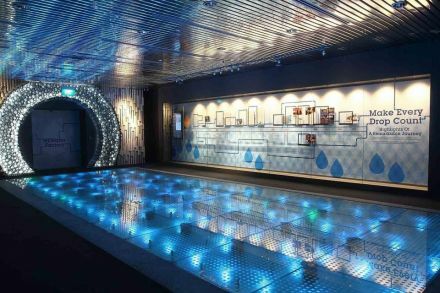 The remarkable transformation of Singapore’s urban water services has not been witnessed anywhere else. But challenges lie ahead. The low price of water here may also have created a perception problem. Singapore International Foundation is hosting a major event on Friday to discuss the past, present and future of water in the city-state. The past four decades of water management in Singapore have been one of long-term visionary planning, strong political support from the highest levels of the government, followed by timely execution. It has been underpinned consistently by responsible leaderships, relentless pursuit of economic growth, steady improvements in living standards and perpetual quest for sustainable development. The result is a true success story of self-reliance, creation of growth opportunities, good governance, notwithstanding the scarcity of natural resources that might normally impede such a development process. When Singapore became independent in 1965, its urban water management was similar to any Third World city. For example, in December 1969, floods claimed five lives and caused damages of S$4.3 million (in 1969 prices. The flood-prone area in Singapore was 12.8 per cent of the island, equivalent to about 6,900 hectares. Modern sanitation services were available to only half the total population, which was then around two million people. Night-soil bucket collection services existed until the 1980s. Within three decades, Singapore’s water, waste water and flood protection services were transformed from that of a Third World country to one of the best in the world. Such a remarkable transformation in urban water services has not been witnessed anywhere else. These unquestionably commendable achievements were made possible by the exemplary work of the Public Utilities Board (PUB), which in our view is one of the best urban water management institutions globally, if not the best. The success has come because of its capabilities to conduct long-term planning and, what is important but seldom seen in other countries, their timely execution. This includes the clean-up of the Singapore River and Kallang Basin within the planned 10 years, which resulted in numerous economic, social and environmental benefits. There is no question that Singapore will have to run at least twice as fast to remain one of the best in the world. The world is changing rapidly. Expectations and attitudes of the population are undergoing equally rapid transformation. Some of these future challenges are within the country’s control. These include issues such as its future population, type of economic growth, and nature of industries the country will emphasise, especially their water and waste water requirements. These will be decided by the country as a whole. PUB will have to react to these national decisions. There will also be other issues which will affect urban water management on which the country will have no control. Among these are climate change, energy prices and availability, advances in science and technology, its competitive positions vis-a-vis other countries, etc. Within this overall context of increasing uncertainties and complexities and relentless global competition, the following are likely to be some of the challenges Singapore may face. The first is the unexpected and unpredictable impacts of climate change, both temporal and spatial. It is imperative for the country to prepare, anticipate, respond and mitigate extreme regional weather conditions that may have impacts on water quantity and quality both in Singapore and Johor, from where it still imports half of its water. Equally for an island, focus has to be on the rising sea levels of the future because of global warming. Singapore can only plan and react to these developments. For example, the minimum land reclamation levels for newly reclaimed land have been raised by one metre since 2011. This is additional to earlier minimum level of 1.25 metres above the highest tide level observed before 1999. Following the latest IPCC report, will this be enough? The second concern stems from energy. Singapore is both water and energy deficient. The water sector needs energy for pumping, treating, recycling, desalination and production of NEWater. The increase in water self-sufficiency has been achieved by higher energy requirements. While the cost of energy is now at a five-year low, energy prices are likely to go up in future. Thus, the strategy of water self-sufficiency at the increasing cost of energy security needs to be assessed. Third, the environmental costs of disposal of brine from the desalination plants need to be comprehensively studied. While there is unlikely to be any serious problem due to a few desalination plants, the marine ecosystem could be affected by increasing brine discharges. The coastal areas along the Gulf are already the most saline in the world because of brine disposals. We are not enthusiastic about the model PUB’s consultants used to predict brine discharges impacts. Additionally, serious and objective studies are necessary to make realistic assessments of the impacts of additional brine disposal from increasing number of desalination plants during the post-2035 period. Besides these complex and unpredictable issues, Singapore can take additional measures to improve its water and energy self-sufficiency. First, comprehensive studies should be made to determine the cost-effectiveness of deepening the existing reservoirs so that more water can be stored. Second, per capita water consumption in Singapore, at 151 litres per day, is quite high. The objectives of reducing it to 147 litres by 2020, and 140 litres by 2030, are simply too low. Even in 2008, per capita water consumption in other capital cities, such as Hamburg was 105 litres. Per capita consumption levels in cities like Munich, Berlin, Copenhagen, Barcelona and Amsterdam are already well below what Singapore plans for 2030. The reduction in water uses in the European cities has been achieved by water pricing. Singapore has never used pricing as a tool for water conservation. In the past, water prices were increased only to recover costs. With advances in management techniques and technological advancements, costs of water production and distribution have not gone up. Water prices have remained the same since 2000. With inflation and higher incomes, the cost of water for an average household, as a percentage of average income, has probably dropped significantly since 2000. Consequently, without appropriate price signals, domestic consumption is likely to reduce only marginally over the years. The price elasticity of water can be seen from the experience in Qatar. A Qatari national uses 1,200 litres every day because water is free. For expatriates, who pay only 30 per cent of the cost, the water use figure is less than one sixth of that. The low price in Singapore may also have created a perception problem. People probably intuitively think that because water is so cheap and its price has remained the same since 2000, while everything now costs significantly more, water quality may not be the best. The vast majority of the population drink bottled or boiled water or use sophisticated filtration systems. We estimate that more than 30 per cent of households boil water before drinking. This is not only unnecessary, but costs each household around S$220 a year in electricity costs. This further aggravates Singapore’s energy self-sufficiency condition. We also estimate that less than one third of households drink water directly from the tap, even though its quality is excellent. Additionally, sales of bottled water are expected to double by 2020, even though PUB supplies excellent water quality at 1/1,000th the cost of bottled water. Since the price of water has been the same since 2000, it may be politically difficult to increase its cost. In retrospect, it would have been a more efficient policy to at least index the water price to that of inflation from 2000. Irrespective of the present situation, our view is that Singapore will have to use pricing as an instrument for water conservation, and the sooner the better. Singapore will thus have to run not only faster but also more efficiently. During this process, the public will have to join hands with PUB. Cecilia Tortajada is Senior Research Fellow at the Institute of Water Policy and Asit Biswas is Distinguished Visiting Professor at Lee Kuan Yew School of Public Policy in Singapore. Both are co-founders of the Third World Centre for Water Management in Mexico. This article was first published in Business Times on 12 December 2014.